This past weekend I did something that I've been thinking about doing for a long time. Several moths actually. I finally painted our bathroom! I haven't done it before, because honestly I'm a little scared of color. I didn't grow up with a lot of colors on the walls, and I was afraid that if I tried to pick a color I wouldn't actually like it on the wall. I have wallcoloraphobia. Derek taped and put the plastic down, and I started painting. Derek helped me paint when I needed a break and we finally finished it! We had to take everything out of the bathroom, obviously, and I didn't get it all put back in until this morning. The color makes the whole room look more interesting, because the bathroom counter, the floor and the walls were white before. I think it turned out nicely! It definitely gives the bathroom that something it needed. Now that I've tried painting something a color for the first time ever, and it wasn't too scary, I might try painting the spare bedroom a color sometime. I'm slowly getting over the wallcoloraphobia. But I'll probably have to think about it for a while. Probably several months again. Yes, I broke down ad joined the Twitter community. I'm not sure whether I'm excited about that, or a little ashamed of it! I held out for so long, but the final straw came this morning when Laura Ingraham, one of my favorite talk show hosts who has also been skeptical about twittering, joined. I wanted to follow her, so I created a Twitter account. Here's the link to my page; if any of you are on there, feel free to follow me and I'll follow you too! I guess we'll see how this goes. In other more serious news (in my world), I feel that I have failed in a way with this blog. One of my major reasons for starting this blog was to record what the Lord is teaching me as I try to walk with Him, and I haven't been doing the best job of doing that. I feel like I need to do a better job of using this outlet for the Lord, so I've decided to try to post once a week on something I've been learning in my relationship with the Lord, something He has done for me, any good insights that I stumble across, etc. Have any of you heard the hymn "In the Garden", by Charles Austin Myles? It's a beautiful old hymn on the sweetness of having a quiet time with the Lord. I love the line that says "And the joy we share as we tarry there, none other has ever known". There is great joy when we tarry with the Lord, and I know I need to do a better job of that myself, not just privately in prayer, but publicly with this blog. So I'll be trying to post a "tarrying there" post every week, probably around Friday or Saturday. That's my goal. And I want to ask you all to hold me accountable there - if I haven't posted something about my walk with the Lord in a while, I give you all full permission to ask me what's up, okay? I'll finish with the lyrics to "In The Garden". I think they are so beautiful, and they always seem to bring a prayer to my heart. P.S. The picture is of a pretty old church that I had to take a picture of when Derek took me downtown for my birthday! 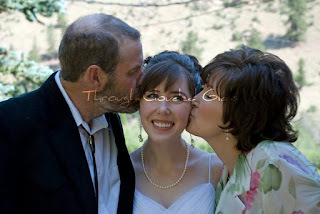 I'm afraid this is going to have to be a short Tying the Knot Thursday this week, because I didn't get a chance to write this post earlier this week, and I have to right it over my lunch break! I would just like to focus on our bride and groom apparel. My mom took me to a bridal boutique one day to look for a dress. I didn't think I'd actually find one that day, but we thought we'd look. I knew I wanted a dress that would give me a column silhouette as opposed to a ball gown or A-lne. I've always been tall and slender, so I wanted to make the most of that on my wedding day and a column silhouette was more what I was looking for. My dress turned out to be perfect for me - it had some pretty feminine details and some embroidery and beading (I love lots of details on a wedding dress), it wasn't strapless (I didn't want a strapless dress), and it had a small train while still giving me that sheath/column type of dress. It was a little over the budget, but we just ended up cutting costs elsewhere and we did just fine. I love my dress! It was just me. I would like to bring attention to one point of our apparel that we decided to do a little differently. 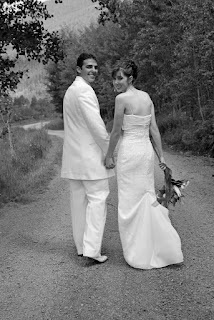 If you've noticed in our wedding pictures, Derek's tuxedo is a white tuxedo. When I first asked him if he wanted a black or white tux he thought he'd do black because that provided the best contrast with my white dress. He asked why the groom would wear a white tux. 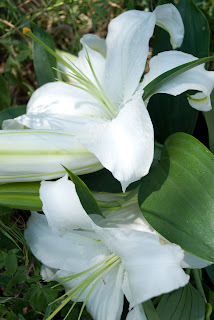 I said that the white in the wedding dress is to symbolize the purity of the bride. But in our case the groom was pure too; we both saved ourselves for each other, so if he wore white too it could symbolize how we had kept ourselves pure for each other. He was sold on it after that. 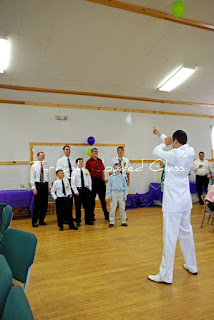 So that's why Derek wore a white tux at our wedding. 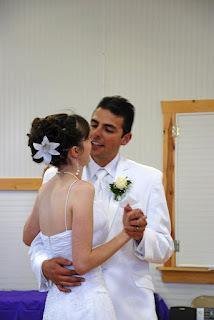 It was a symbolic witness for us on our wedding day, because both of us waited until our wedding night; we saved ourselves only for each other, and to me his white tux seemed to make that fact even more special. Okay, I better head back to work now! I'll write a longer Tying the Knot post next week! Categories: Christian Living, Derek and Me, Fashion, Weddings Etc. I'm getting into the Fourth of July spirit early! Hence, the fun patriotic background. Just thought I'd explain since it isn't the fourth quite yet. But then you don't need a holiday to be patriotic, do you? I wrote this post last week, and I thought I'd share it now! My dogs are so cute . . . I spent the last several minutes laughing, and I thought I'd share with you all why. It's been quite a while since I gave Ralphie a haircut, and I decided today is as good a day as any other to just get it done. So I donned my lovely hair-cutting clothes, put Quincy in her kennel so she wouldn't get Ralphie riled up (he needs no help), and grabbed my little puppy to give him some grooming. Ralphie does not like haircuts. He's okay if I'm cutting the hair on his back, because I suppose it feels like he's just getting petted. Then we move to his face. He sits tolerably still while I trim his face, but when I'm not looking he strikes his sneaky pose and tries to scurry away. Then I grab him and drag him back, and it basically makes me feel like a horrible person. Nothing compared to trying to trim his backside and stomach hair. You would think I'm abusing the poor dog; he gets rather anxious. Every now and then he let out a little humming whine, but mostly he just kicks against me and squirms, occasionally escapes me, and then once again I have to grab whatever leg I can reach and get him back on my lap. I know it doesn't hurt, he just doesn't like it. He got so worked up today that when I was done I decided to reward him with a treat before continuing to phase two-the bath. Poor thing thought he was done and then I subject him to water. Ralphie also hates baths - I get pretty wet just trying to get him clean. All of this is pretty amusing, but what really makes me laugh is when I get him out of the bath tub. He looks so skinny, because his hair is all plastered against his little body - as if that wasn't enough, he runs around the house like a mad dog for the next five to ten minutes until his hair is dry, rubbing his face against the floor while he's running. It's hilarious to watch! Today I thought he looked so cute when he was all wet that I decided I wanted a picture of the little rascal. I made the mistake of setting him down first. He took off, tearing around the house, and I ran after him with the camera, snapping as many pictures as I could while he was moving (it wasn't easy). I finally got him cornered in our room. Or so I thought. He tore around the room and under the bed, and basically tried to get away from me as quickly as possible. Poor Quincy was still in her kennel and started whining - I think she felt left out. The mental picture of what I must look like made me start to crack up! I finally snagged the little guy and took this picture. Then I let Quincy out of the kennel and lured Ralphie away from his mad dash/attempt at drying to give them both a treat. 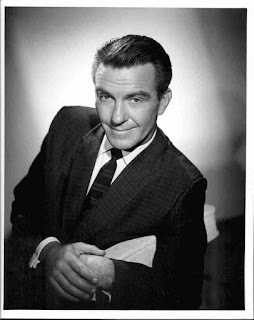 This Father's Day weekend I find myself reminiscing about times I've spent with my dad. My dad has always tried to spend time with each of us kids, as a family and individually. Many times that has involved the activity of hunting. My dad is a brilliant outdoorsman, and it's very rare that he goes a hunting season without shooting something. When I was twelve my dad took me and my brother and sister to a hunter's safety class to get our hutner's safety cards. The class was held in this little log building in a tiny town near our home. The same game warden who had taught my dad hunter's safety was still teaching the class. I remember sitting with my dad in the class as the game warden spoke, and as we watched videos, preparing for that all-important test that would determine whether I could apply for a tag that fall. The test came, and thakfully we all passed - the warden made my dad take it again too, just for fun, and my dad got 100% just like the first time he took it. I have many good memories of hunting with my dad. We would wake up at some ungodly hour and I'd get all bundled up in my winter clothes and camo, and strap my fanny pack containing my tag, chapstick and other essentials around my waste. We'd drive to wherever we were going, and then most times we'd hop out of the truck and climb onto my dad's four-wheeler and drive even further in. At some point we'd have to leave the four-wheeler and start walking. My dad was always in great shape by the time my season rolled around, because his seasons were always first - so I'd get tired much more easily, and he'd let me hold on to his backpack straps and he helped pull me up the hill. He always made sure to stop several times and let me rest. My lungs certainly would get to burning at times. When I think of the best moments of my hunting seasons, I always think of two seperate things that were likely to occur at some point every year. The first is when we'd be waiting for the sun to come up so I could shoot at something, and my dad would say a quick prayer that the Lord would give us a successful hunt that day. He'd grab my gloved hand and we'd bow our heads as my dad said the prayer. There was always something special about praying out there in the stillness while the sun snuck up over the hill, before the birds had even started chirping. The second best moment would have to be when I actually killed something. It didn't always happen every year, but when it did, it was one of the most exciting things that have ever happened to me. We'd run through the snow or brush, my ears still ringing from the shot, scanning the ground for the elk or deer that I had aimed at. When we'd find it, my dad would give out a big shout, I would laugh and grin ear to ear, and he'd call out a "Thank you, Lord!". My adreneline would be pumping at this point, so I'd usually have to peel off a layer of coats or two, and then we'd get about the business of field dressing the animal and quartering it for the treck back to our vehicle. After the dirty work was done (which I always found rather fascinating; remember, I'm a biology nerd), we'd break out the Gatorade, beef jerky, and Paydays and eat our snack. I don't think I've tasted anything that could quite compare with Gatorade, beef jerky, and Paydays after a successful hunt. There's nothing quite like getting outdoors and doing something with your dad. It was very bonding, even when I didn't end up getting anything some years. I think what made it special was that this was something that I could do with just my dad and me - it was enjoyable, and my dad was able to teach me so much about nature and wildlife and how to be a successful hunter. It's that legacy, the passing of knowledge from one generation to the next. Just thinking about it is making me anxious for this year's hunting season! I am extremely blessed to have a dad that invested time in us kids like that. Not only did he take us hunting and on many other family outdoor activities (almost every weekend in the summer), but he was always there for me, to give me a hug when I was little and the other kids had made fun of me; or in more recent years, when a few days after Derek and I were engaged I started crying because things were changing, and I knew they would never be quite the same. To hear my dad say that he and my mom would always be my parents, and they'd always be there for me, meant more than I could say. The support from my parents and those words from my dad gave me that little bit of extra courage that I needed to face all those changes head-on. Yes, the Lord certainly blessed me with a wonderful dad, and I don't think I could find a better one. Thank you, Daddy, for everything you've done for us, and Happy Father's Day! I love you very much. Tying-the-Knot Thursday - Bringing Pale Back! Yesterday was sunny and warm. Being conscientious about my skin, as I am, I whipped out my handy-dandy spray sunscreen and sprayed my skin until it was nice and wet and shiny. Ah, sunscreen! What a wonderful invention. I am a sunscreen fanatic, because I don't tan. I have very little melanin in my skin. No, I burn. After the redness fades, and that scorched layer of skin peals off, then I look a little darker, but barely. In fact you probably couldn't even tell there was even a hint of darkening unless I showed you a non-burn-tanned portion of my body next to the "tanned" area. Yep, it's that bad. Rather than go through all that pain for negligible results, I just apply my sunscreen and supplement with bronzers and for that summer glow. As I was utilizing my lovely Banana Boat sunscreen, I started thinking about this time last year. I had decided a long time ago that I would be a pale bride. What's with all these normally very white people running out and getting spray tans before their wedding? Is it only me, or is the point of getting all dressed up for your wedding to look like an absolutely beautiful, somewhat more glamorous version of yourself? Well, I've always been pale - I saw no reason to go dye my skin an unnatural color just so it would be a nice contrast with the white dress. I decided to bring the pale bride back! Well, this did present some difficulty, it turns out. I didn't realize it, but staying pale during a very sunny summer is rather difficult! I've always been pretty conscious of not getting burned, and protecting my alabaster skin. Yes, I said alabaster. I read a novel once in which the author joked that some pale person made up that term in order to make themselves feel pretty. I was very offended - pale skin is pretty, in my opinion. But I digress. Like I said, I normally try not to burn or tan in the summer anyway, but if I get a little too red one summer afternoon, it's not the end of the world. But when you are trying to stay pale for your summer wedding, it is the end of the world! If I got even a little burn it would leave me (a) looking like a lobster in my pure white dress, or (b)with the dreaded tan line (which doesn't look so great on your wedding day). I had to cut out a lot of activities. No swimming for me last summer until the honeymoon, no "sirree". No spending extended periods of time in the sun unless I had sunscreen nearby (SPF 50 or higher, preferably). I even made Derek stop and buy me sunscreen before we could go to an unexpected outdoor car show one day. He humored me - he's pretty understanding. Well, I made it! I made it to the wedding without a single burn. I was able to be the pale bride that I had always thought I would be! Too bad it didn't last long. The last day of our honeymoon we spent the day lying on the beach. I sprayed myself, but I threw caution to the wind, because after a quick dip in the pool, I didn't re-apply. I think that was one of the worst burns I've had in quite a while. I could barely walk - it made the, um, classic honeymoon activity rather difficult later that night, and the plane ride home was oh-so fun. But I made it to the wedding, and the pictures are pale-skinned! That's all that matters, right? Aveeno Sunscreen image taken from aveeno.com. This is my favorite, because it is SPF 70, and it gos on really nice! I couldn't get a picture of the Banana boat sunscreen that I used yesterday, but you can see it at bananaboat.com. This stuff is a little more oily than the Aveeno sunscreen, but I just found out it comes in SPF 85!!! I'm going to go stock up on some of the high-powered stuff for the rest of the summer. Categories: Derek and Me, Fashion, Health and Fitness, Seasons, Vacations and Trips, Weddings Etc. 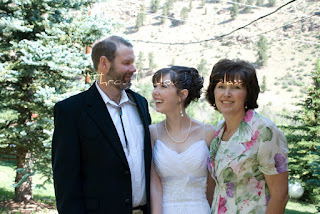 My parents and me before the ceremony. It's been a little while since I've written and the reason is because this past weekend was my birthday! Derek wanted to make this year extra special for me, and he's been telling me this whole month not to plan anything on the 13th, because he was planning to do some stuff for my birthday. But he wouldn't tell me what we were going to do. Well, I finally got to see what he's been planning all this time! My husband is so good at surprises - I don't think I've ever met anyone who can plan a better surprise. So we woke up on Saturday morning and Derek told me we were leaving at 10:10 in the morning (we were on a schedule). We actually ended up leaving a little early to get a Starbucks before we got to the place. My first surprise was a thirty minute professional massage! It was lovley! My sister's coworker is a massage therapist, and she came in on a Saturday to give me my massage. She was really good - the pressure wasn't too much for my first time, but it was still enough to make my muscles relax. I had a couple knots on my left side (I knew there were some knots in there)! It was very relaxig - she worked out the knots and then "lengthened" my muscles. I left feeling non-tense! I might have to go back to her again sometime - it probably wouldn't be a bad idea, because my line of work is really hard on my body. Next Derek took me to a nail salon to get my nails done! I've never had my nails done (not even for our wedding, but I've always wantd to; in fact, it's on my "100 Things To Do Before I Die" list! "Get a french manicure." I guess I can cross that off the list now! It was fascinating the way they build up the nails on your finger - first they put on the white tips, then they build up the acryllic material on your nails, then they trim them and gloss them. It was really cool to watch, and I feel so glamorous now! My natural nails aren't that strong and don't grow to be very long, so these nails feel so pretty, "Daaaarling"! Next he took me to Ulta, which is a big makeup store, and let me buy thirty dollars worth of makeup. My husband knows me so well! I ended up getting some plum eyeliner, Superstay lipstick, a light bronzing shimmer powder (which is fabulous - it just gives your face a fresh look), and a nice nail file, because I've needed another one. Ah, I love makeup! After that we went back home and got dressed for dinner out. Derek had told me earlier in the week that I should buy a new dress for the "thing" we were doing on Saturday, but I couldn't find one that I really liked. So I wore a dress that I already had, and I bought some new earrings and some red high heels instead! That's something else that's on my "100 Things" list - "Buy some red high heels"! So I got to cross a couple things off the list. We went out to the Olive Garden for dinner and split an entree. We like to split restaurant meals, because it's cheaper, and then we also don't eat too much like we would if we got our own meal. We also got this wonderful chocolate cake for dessert. It was heavenly . . . really good cake. The entire time we were eating the manager of the restaurant kept coming over to check on us and see how we were doing - he also brought us our check. I think he might of thought we were important people, because we were really dressed up - me in my dress and Derek in a suit. So that was fun! I also got a couple compliments on my dress and shoes from complete strangers, so that was special since it was my birthday dinner with Derek. After that Derek took me to a play downtown! I have never been to play in town before, I've only been to a few other plays in smaller theaters. It was so exciting! The play was called "Quilters" and was about women in the 1800s, and how quilting was such a big part of their lives. The play made me want to pick up a needle and start a quilt, even though I've never been good at sewing. One part in the play that we could have done without, but overall really good. We enjoyed it! It was a wonderful birthday outing, and Derek gave me so many fun surprises! I'm lucky to have that man. He planned everything out to make it special for me, and he always makes me feel like a princess. Love you, Babe! The next day we also had a birthday celebration with my family, and my mom made me a heavenly chocolate cake - milk chocolate. Yum! 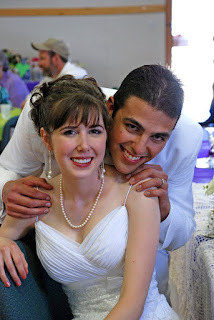 I've decided to join my blogging friend Jessica in doing weekly "Wedding Wednesday" posts every week until our wedding anniversary! I thought this was a great idea. She decided to do this because she wasn't blogging back then, and she has a bunch of wedding stories and details she would like to share. So I'm going to do the same thing until our anniversary, which just happens to be on the same day as Jessica's! However, I didn't want to do these posts on exactly the same day as Jessica, because it was her idea, after all; so I'm going to do "Tying-the-Knot Thursdays". Here is the first installment! If I had to pick the one thing I might have done a little differently about our wedding, it would be the cake. Don't get me wrong, I thought the cake turned out fine; but it just wasn't quite my vision. We had a pretty tight wedding budget. And a significant portion of it was spent on the dress (it was the dress I loved, so we just worked it in - more on the dress in a future post). So we didn't have a ton of money left for other details, such as the cake. A cake like this . . . I love the look of fondant. If I could have, I would have wanted a fondant cake. 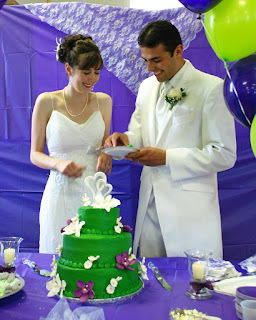 My vision was a light green fondant cake, with white and deep purple sugar flowers scattered around the cake. I really wanted a square tiered cake too. But alas, fondant is very expensive! We checked into the prices of a couple of local bakeries, and goodness, wedding cakes with fondant are pricey! I didn't realize this until we really looked into it. So that was a "no" on the fondant. We tried to think of a couple options. I could have a more expensive, smaller cake and supplement it with sheet cakes. This would have been a fine option, but even this turned out to be a bit out of our price range - so that was a "no". The other option was to get a cake from a grocery store bakery, because it's less expensive. We checked into King Sooper's, Safeway, and Walmart. Walmart has really great prices on cakes, for any of you who might be wondering! 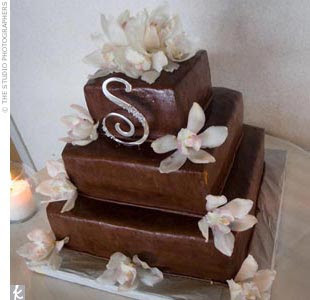 However, they didn't have square cakes there, which was rather disappointing to me - I would have loved a square cake. Safeway would have been able to do a square cake, but it was a little too expensive (once again). Another "no". I think I handled all these "no's" rather well! I was flexible. 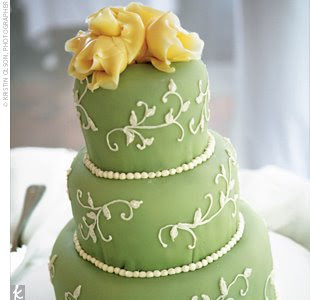 I agreed to a round cake, and the bakery said they could mix up some butter cream frosting in the shade of green that I wanted. I asked if they could try to make the frosting really smooth, so it would be simialr to fondant - they said they would. They also asked if I wanted "pearls" of frosting around the base of each layer - I wasn't really sure I wanted that. I liked the fondant cakes that were just smooth. But the bakery needed something to cover that area I think, because I don't think they thought they could frost it smoothly around the base. so I agreed. Just small delicate pearls. I ordered some sugar flowers very inexpensively off the internet - some of those bakery websites are amazing! I was determined to make this cake fit my vision, even if it wasn't fondant, and I was pretty sure it would turn out great. The first bump in the road: the website that I ordered my cake topper from was a scam. They never sent the topper, and when we tried to contact the guy he was no longer available at that address. He took the money and ran. There was no time and money left to order another one like it before the wedding. We ended up having to go to Walmart and find a topper there. Walmart again! The topper was pretty though and a similar style to the original, so I was okay with it. But it was a little disappointing not to have gotten the topper I wanted. Walmart! The day before the wedding arrived. This was the one day that I really started to get stressed out. A bunch of ladies from our church came over to help get the building for our reception ready, and I think they all could tell I was freaking out a little bit. They all kept saying it was going to be okay, and everything would turn out fine. Which made me want to start crying. I wasn't a bridezilla - I was a weeping bride-to-be. I think Derek's relatives probably thought I was way too high maintenance and sensitive, but oh well. Well, the cake arrived from the bakery. When I saw it I was disappointed! They got the color entirely wrong - it turned out to be this grass/kelly green color, which was not what I wanted at all! I wanted a light green, just slightly more vivid than pastel green. I didn't want a kelly green cake! On top of that the ride to our house made it melt and lean just a little. And the green "pearls" they were supposed to put around the base turned out more like green marbles - we had a good laugh about that. Not what I was expecting at all. First thing I would have done differently: insisted upon seeing the frosting color before they frosted it. Second thing: Forget the "pearls". Third thing: Just paid a little bit out of my own pocket and got a different cake that was closer to what I wanted! I think I held it together very well at this point. Even though other things started making me cry, the cake just got an "oh well", and I just tried to make it as pretty as possible. I turned it on the cake table so it was less obvious that it was leaning. I convinced myself that nobody would know it wasn't the way I had wanted the cake (though I'm sure a few people were wondering what made me pick that color). I decorated it as prettily as possible with my flowers. I was going for something closer to that color. 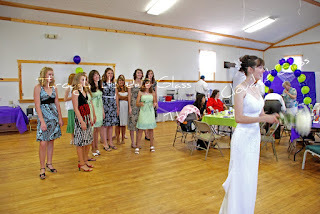 I was terrified of spilling that awful green frosting on my dress and staining it - or on Derek's tux, which we rented. But Derek and I were really nice during the feeding cake part of the reception, even though everyone told me I should get some on his face. I don't think newly married couples should be mean to each other like that, as one of the first things they do together as husband and wife. Anyway, that's my cake story! Just in case any of you had seen the cake color before and were wondering. Feel free to tell me the color isn't that bad, or I did a nice job putting the flowers on it or something! This will forver be my one regret - but it's not really too big of a deal! I'm over it, pretty much. The wedding is about the marriage, not the cake. Cake images taken from The Knot. 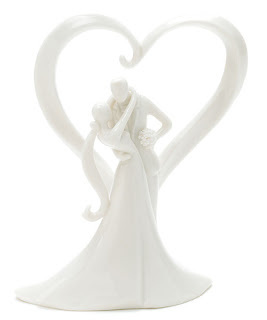 Cake topper image taken from Weddingcollectibles.com. Categories: Derek and Me, Fun Stuff, Recipes and Food, Weddings Etc. Here is my promised update on my new workout routine. See here for my initial review of the 30 Day Shred workout DVD. Well, I did the level two workout of the 30 Day Shred DVD this morning, and the level one again this afternoon. I can feel my muscles toning as I speak! The level two workout definitely gave me that "I think I'm going to die" feeling a little bit more than the level one, which is what I'm looking for. In addition to the jelly blob feeling. That's what made me decide to just do one workout this morning - I don't think it would be very good for my body to do two of those workouts back to back. After meeting my friend Ashley for lunch and eating a rather large chicken parmesan sandwhich, I decided it wouldn't be a bad thing to do the second workout this afternoon. I'm feeling really good about myself right now. The endorphins are flowing. As important as I think it is to keep my body in good shape, I think it's even more important to keep in good shape spiritually. It's a little harder to know if I'm doing a good job growing my spiritual muscles though. Physically we have soreness and visible results to let us know if we're doing a good job. But there is no spiritual soreness - and while looking back we may see that we've grown, when we're in the process of growing it's hard to tell if we are in fact moving forward or just standing still. My blogging friend Brittany recently brought to my attention an online summer Bible study that looks fun. The book they are going through is called "Me, Myself, and Lies" by Jennifer Rothschild. I was thinking I might do the study too, but I'm not sure yet: but I thought I'd direct you all over to her blog, just in case you're interested. Even if I don't do that Bible Study, I think I'm going to try to get more involved with some sort of Bible study this summer. It's important to keep spiritually fit. No matter how much I work out and keep my body fit, someday I'm just not ging to look like I'm twenty anymore. It's inevitable that our bodies will age and our outward beauty will gradually fade. But inner beauty and spiritual strength is what counts and it lasts forever. I just want to encourage all of you ladies to consider joining me intrying to get more spiritually fit this summer as well! Let me know how you plan to grow in the Lord this summer - maybe we can all keep each other accountable! Categories: Christian Living, Health and Fitness, What Do You Think? I just finished the first workout of Jillian Michael's 30 Day Shred! Everyone has been talking about what a good workout DVD this was, and I was getting sick of my other one, so I decided to buy it. It was a hassle trying to get it though. First I ordered it off the internet, but then it was deemed undeliverable to our address (which is weird because lots of other things have been delivered here just fine). So I decided to go try to find it in a store, and I had to go to a few different places before I found it. But find it I did. I was pretty excited to try it, because Jillian is my favorite trainer on the Biggest Loser, and I'm determined to stay as lean as possible through my married years (which will hopefully include the rest of my life). I have been slacking as of late - I want to be at my wedding weight by our anniversary (and I'm three pounds away). 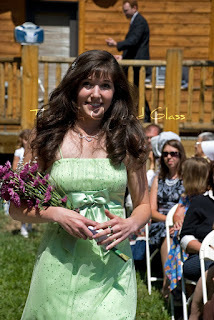 I'm starting to find it hard to believe I was really that light at my wedding. I feel like I'm in good shape now, but somehow I'm three pounds heavier! Anyway, we'll see if Jillian can work some wonders in the month I have left until our anniversary; of course she'll probably make me gain muscle, which will make me heavier . . . So I jumped right in to the workout. I decided to start with level one, because that's what Jillian said to do. Other workout DVDs that I've done have left me feeling like I'm going to die by the end of it. I must say that at the end of this DVD (at least level one) I didn't feel like I was going to die - I'm expecting that feeling tomorrow, however. This DVD did do something that I haven't experienced with other DVDs though - it made my muscles quiver. In the middle of the second round of strength training my body was quivering. It was kind of a weird feeling. If my muscles are shaking, she must have worked them pretty hard. It's funny, because the individual exercises didn't feel that hard while I was doing them, but goodness, together they make you feel like a blob of jelly. That's always the sign of a good workout DVD: the jelly blob feeling. I'll let you know tomorrow how sore I feel. Right now I have aspirations to do the level one workout and the level two workout tomorrow, but we'll see how much pain I'm in. So, any of you have a few pounds to lose? What's your strategy? Anybody else set a wedding weight goal, like I did? Categories: Health and Fitness, TV, What Do You Think? I'm off to a graduation party within the hour, so I don't have alot of time for a great, well-thought out post. But I thought it was time for a quick update. I've been in pain all week! My lower right wisdom tooth socket has been hurting me terribly all week - I've been on pain meds the entire week as well, which I'm sure is just fabulous for my liver. I've decided I have a great boss - she gave me dry socket paste to help ease the pain! It was great stuff - it made it feel better right away. I was thrilled. My boss also bought me a Starbucks since we had to work on a Friday yesterday (which we usually don't), so I thought that was really nice! I finally went in for my follow-up appointment with the oral surgeon, and he cleaned out the hole (which I haven't been able to do, because it's been so painful). I'm hoping it will heal up quickly now and stop hurting. To my friend Hazel: thank you for the get-well card! I got it today. It did not come too late, because I wasn't able to forget my wisdom teeth were gone, due to the pain all week! Thank you to all of you who gave me encouragement after my breakdown the other day. I'm doing much better mentally now - I know the Lord has a plan, and I'm just trusting that He'll work everything out before the kiddos come along. That's all I can do, right? Speaking of kiddos - you know how they make you take antibiotics after a tooth extraction? I'm assuming you all also know that antibiotics can mess with birth control pills. Well, yesterday in the grocery store I bought a pregnancy test. I thought it would be good to have one around the house just in case, and especially this month, because I did finish the entire bottle of antibiotics. I felt pretty funny walking around the grocery store with that in my cart - I was thinking that I hope I don't run into anyone I know, because then they'll start expecting an announcement any day. And I'm not expecting to give one anytime soon. Derek and I aren't trying to get pregnant or anything. I just thought it would be good to have around, because . . . well, just because. I just thought it was interesting what a weird feeling it is to buy a pregnancy test - you all should try it sometime to see what I mean! I'm laughing to myself as I type this. Anyway . . .
That's about all that's new in my life. What's new in all of yours? I'm feeling rather discouraged today. I'm not sure why, but I had a breakdown this evening, and I feel totally out of control. This isn't exactly how I wanted to share the news. In fact I didn't even really want to share our news until we knw a little bit more. But a couple months ago Derek decided to apply for the state patrol. Derek actualy has his degree in finance. But with our unemployment experience last year we found out a couple things. First, good finance jobs are almost not to be had right now. Derek is very qualified for alot of finance positions, but there's not many to choose from with the economy the way it is, and there are so many finance people applying for the jobs that it significantly affects the chances that the people in charge of hiring will actually see his resume. Second, Derek has decided that he really doesn't want to sit behind a desk the rest of his life. I always knew this about him - he's a very active guy, and the desk job really was never a good fit for him. I actually suggested that he think about the state patrol last summer, before we even had to deal with the no job thing. It wasn't the right time for him to apply - the wedding was in a couple of weeks, and though he started to fill out the application, he had so much to get done and he just didn't really want to do it then. Several months and another desk job later, Derek decided to try the state patrol again. Now is a much better time for him to apply, and this time I didn't even say a word - he just brought it up one day, got the application and started filling it out, which I thought was great, because this time he actually wants this, and it came to him without anyone mentioning it. I feel like maybe the fact that he thought of it himself this time was maybe a sign that this is what the Lord has planned for us - I feel like the Lord brought it to his mind at just the right time for him to get his application in. I was even starting to see a possible purpose in the whole job change situation, which I have been hard pressed to find until now. On top of all that, both Derek and I have been feeling a real peace about the whole state patrol thing - I wasn't even that worried about Derek getting in, which is amazing, because I tend to stress. Well, now I'm starting to get discouraged. Derek keeps hearing all this negative news. Like that there's three thousand applicants for the January class (the one Derek is trying to get into). Three thousand! Yikes! But even that bit of news wasn't too problematic to my mind. If the Lord wants him in the state patrol, he'll get in, right? That's what I thought. But then he comes home today saying that one of the policeman from our little town told him that he applied for the state patrol and would have been doing that academy this summer, but they cancelled the summer academy, so now he'll probably do the January class. What! No! This means the January class could already be partially filled! I'm totally conflicted now, and I kind of fell apart. If the class is already filled with some of the summer applicants, and there's three thousand applicants to compete with, how is this going to happen for us? I don't know why, but my confident trust in the Lord and His plan for us just crumbled at that moment. What's wrong with me? Other bits of news like that didn't bug me, but tonight was like the straw that broke the camel's back. I'm ashamed of myself for losing it like that. But this whole thing is really important to me (maybe too important). Why? Because I guess I started to feel like this was it - this was the last chance for a job that will allow me to not work when we have kids. If this doesn't work out, I really don't know where we can go from there. I want to be a stay at home mom more than anything. I like my dental hygiene work alright, but honestly, I don't want to do it indefinitely. It's bad for your body, really, if you do it long term, and if I have to work the rest of my life I'd like to go back to school and get my Bachelor's and maybe my Master's to give me a little more room for growth or options for variety - so I could maybe teach dental hygiene or get involved with dental hygiene research, or something like that. But if we can't afford for me to stay at home with the kids, I think my schedule will be way too busy trying to raise the kids and work at the same time. I won't have time to expand my career options. Even as I write this I find myself coming back to my senses. It's not the last chance - the Lord can give Derek a job wherever He want shim to work. 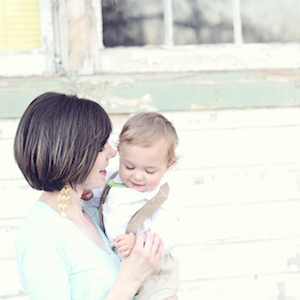 I honestly think being a stay at home mom is a godly desire, a worthy goal. And I honestly don't see why the Lord would tell me no and not give me the desire of my heart in this. However, I know He could tell me no, and if He does, I know it will be all in His plan for us - I guess that's where I have to trust more. Part of me wants to say that the Lord must be planning on giving me what I want on this, because why wouldn't He when I just want to be there to raise my kids in a godly way? But I can't put the Lord in a box - His ways are higher, and smarter, and His purpose is always better for me in the long run. Even if I never know what it is. Anyway, the reason I put you all through this is just because I know you ladies must have had similar experiences of doubting moments, and I know you'll be empathetic and encouraging. And I also tell you our situation because I would be very thankful for your prayers - that the Lord would allow Derek to get into the state patrol if it's His plan. It really would be a great thing, and Derek's very excited about the possibility - it would be hard to watch him go back to another desk job when he wants this so much, even if it was a good-paying desk job. I hope it works out, and I'm trusting; I'm trusting. The Lord always does what's best. Okay, not completely wordless. Just some random pictures. Derek and Me. Ralphie and me on our walk. A deer in our backyard that would pose for a picture and then move as soon as I took it.